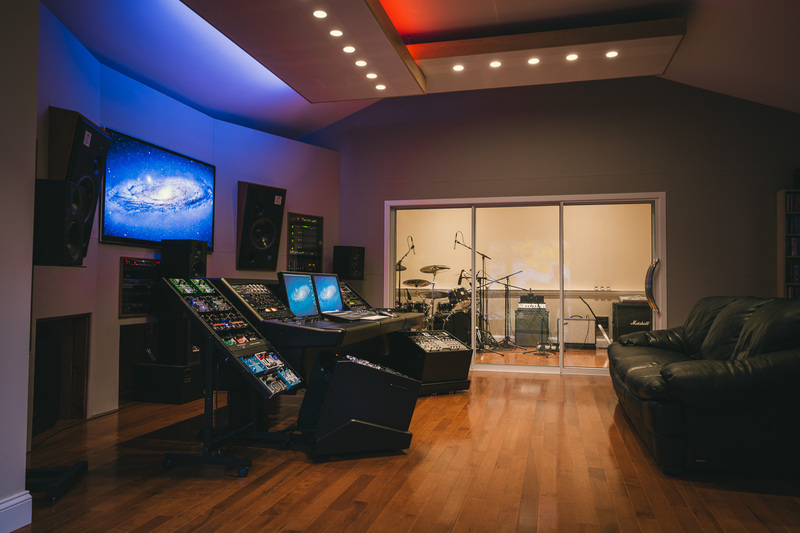 This studio was designed to accommodate a modern work flow in both music and audio post production. There are two main rooms: “control room” which is 18 feet by 25 feet, and “recording room” which is 13 feet by 24 feet. 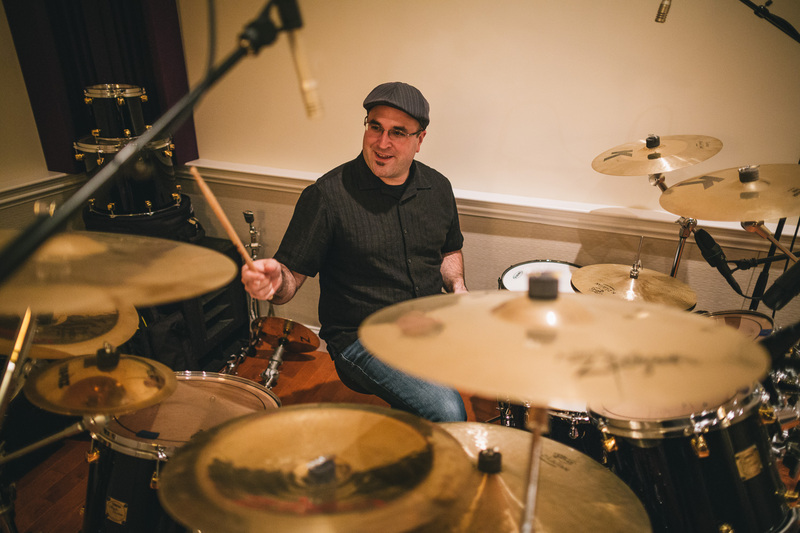 Both feature extensive sound proofing, absorption, diffusion, and bass trapping materials. 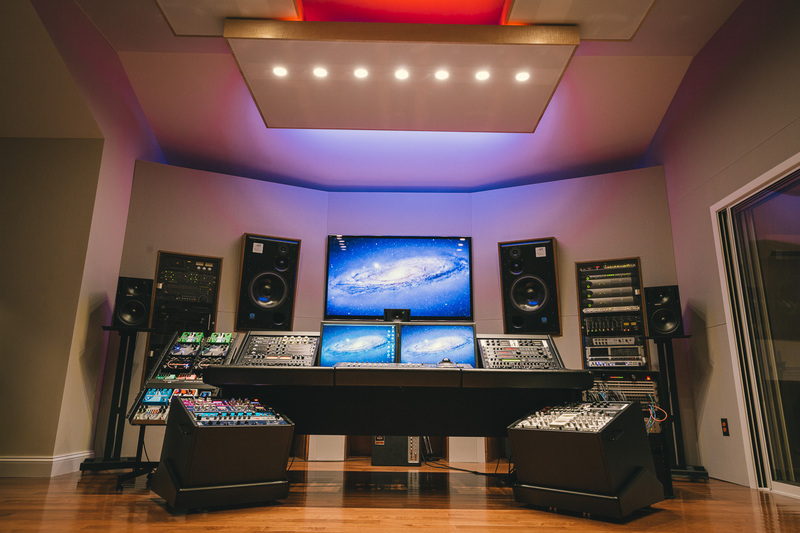 The studio uses a Pro Tools HDX system with Avid control surfaces, Focusrite Dante networked audio interfaces, ATC and Genelec speaker monitoring for Stereo, 5.1 surround, 7.1, and dolby atmos. Routinely TV network audio post production deliveries are done following various audio specs and formats. Also voice over recording, ADR, voice to picture, podcasting, sound design, dialogue editing, original music, music editing are completed. I have a extensive sound effect library of original sound design and audio recording by myself in the field, as well as the same libraries that everyone else has. For VO and ADR sessions there are a few options for remote directors to use; phone patch, video conference, Skype, and source connect. When a project comes in that has a very short deadline, or needs multiple people working on it, I have the ability to scale up and assign more people as needed to complete the job. For example, one or more people can handle all dialogue editing, another does the sound design, and another does the music editing/mix. Then I bring it all together and do a mix. The entire studio is run on a 100AMP Equitech Balanced Power supply isolation transformer and custom grounding. To read more click here: http://www.equitech.com/articles/ bpng.html Balanced Power ensures that the cleanest possible AC is delivered to all gear installed and brought into the studio. It is one of those things that makes everything sound cleaner, and lowers the overall noise floor of the studio. It is the same grade power conditioning that NASA uses for its space telescopes. All of this is located in Stamford CT, a short train ride out of New York City.